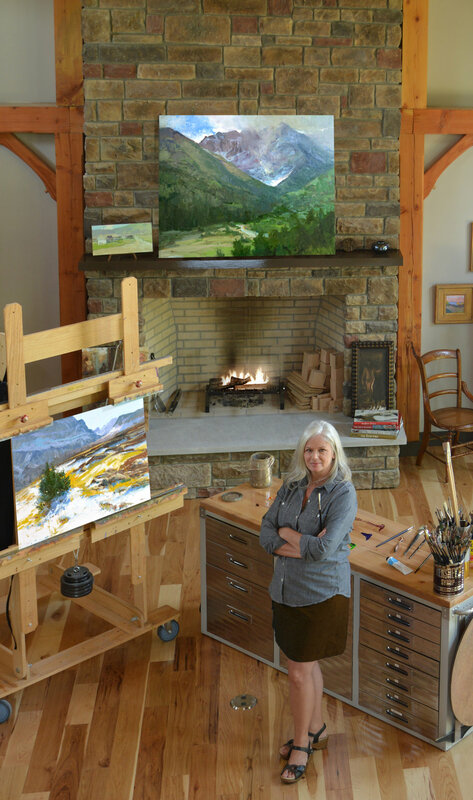 Since you participate in a fair number of plein air festivals, how to you decide where to set up and paint? Do you have favorite subjects (buildings, water, vistas, etc), or do you look for the most characteristic scene, the most interesting pattern of light and shadow? Here are some tip on finding your "perfect subject." Arrive a day before you are expected to paint and allow yourself time to explore WITHOUT your easel. Too many times we miss the very best morning light because we haven't a clue where in the world to find it. Don't go out looking for something in particular. Instead, be open to what you find. It never fails if I have something on my brain, that is the one "thing" I cannot locate. It is better to clear you head and open your eyes. Now that you have explored and opened your eyes, be willing to stop somewhere else along the way. Even though you looked around the day before, every day is slightly different. Maybe there were cloud yesterday and today is clear. Whatever the change of weather, you must continue to be open to what grabs you. Once it does, park the car; make a quick thumbnail sketch of the pattern with notes on values and colors; THEN, set up and paint. Be willing to admit when something isn't working. You did your prep work and still the painting isn't looking like you imagined it. The light has changed. You are frustrated. STOP. Scrape it off. Breathe deeply; turn around; paint a new scene. It happens to all of us... to me yesterday in fact. If you have a question you would like Lori to consider, email it to lori@loriputnam.com.